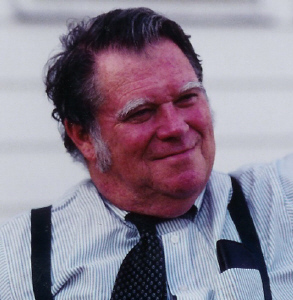 Alexandria, VA Some, perhaps many readers here will know that I learned much of what I know of political philosophy – and, much of my understanding of life – from one of the most wonderful men who has trod the earth, Wilson Carey McWilliams. Professor McWilliams – who taught at Rutgers University for thirty years, in addition to some years at Oberlin and Brooklyn Colleges and stints at Haverford, Harvard, and Fordham – was a legendary teacher, lecturer, and raconteur. I was blessed to have taken many of his classes during my undergraduate years at Rutgers, and traded a spot at University of Chicago’s Committee on Social Thought to finish my Ph.D. studies under his tutelage some years later. He was a mentor and good friend during my formative years of young adulthood, and I would doubtless be doing something very different than what I do now but for his guidance and encouragement. Carey – as he was widely known – passed away suddenly in 2005. While he was widely known and admired in the circles of academic political philosophy, and his admirers in the political domain included the likes of E.J. Dionne and Karl Rove (yes, seriously! ), even those who knew him were largely unaware of the vast body of writings that he left behind. Over the past few years I’ve worked with his daughter – Susan McWilliams of Pomona College and FPR fame – to collect some of his best writing in two separate volumes, both of which have now been published. I hope that those readers who have been interested in my contributions here, or those of Susan, will consider acquiring both books. They are a compendium of essays containing political, philosophical, theological and common-sense justification for many of the positions that I’ve come to argue here on these pages (though my contributions bring far less subtlety and learning than Carey), and I dare say that Carey is about the best articulator of an FPR vision of human and humane community avant la lettre. Also know that I recommend these books without pecuniary interest – all royalties will go toward an endowed award named for Carey, bestowed annually by the Politics, Literature and Film section of the American Political Science Association. The two books differ somewhat in character. The first is entitled Redeeming Democracy in America, published by the University Press of Kansas. Carey was co-editor – along with historian Lance Banning – of a renowned series on American Political Thought published by Kansas. Fittingly, this book contains some of Carey’s best writing about American political thought, drawing on his vast corpus of writings on his understanding of the non-liberal “alternative tradition” in the American tradition. The second – just released – is entitled The Democratic Soul: A Wilson Carey McWilliams Reader, from the University Press of Kentucky. This book – as the title suggests – is more of an omnibus reader, and includes many of Carey’s best essays on a broad range of topics, ranging from his 60’s and 70’s writing on issues of civil disobedience, to his writings about particular thinkers (including not-to-be-missed essays on Reinhold Niebuhr, Bertrand de Jouvenel, George Orwell and Leo Strauss), to his late reflections on the (sorry, but not hopeless) state of contemporary American politics. Each book has extra goodies: the Kansas book has a comprehensive bibliography of McWilliams’s writings (we’ve only been able to gather about a third of his published essays in these two volumes, thus leaving a substantial number still uncollected, not to mention his many reviews, co-authored articles and political commentary); while the Kentucky volume contains a lengthier introduction on McWilliams’s contribution and approach to American thought and political philosophy. Both volumes are highly recommended, and readers will find in the pages of these two books a highly original, deeply learned, and profoundly challenging way of thinking about our time, place, and legacy. Assuming that many readers have not encountered McWilliams before, I will include below a substantial extract from the introduction from The Democratic Soul. I hope it will be sufficient to whet your appetites and move you to consider reading directly from the pages and words of my teacher and my friend, Wilson Carey McWilliams. It was also a city that McWilliams experienced not as a “city of strangers,” but as the home of his large, extended family. By his own account, it was a family of titans. His mother’s family, the Hedricks, were a formidable clan of German and Dutch descent who placed great emphasis on education – sending all daughters as well as sons to college, long before doing so was considered fashionable or even appropriate. During McWilliams’s childhood, his grandfather, Earle Raymond Hedrick, a renowned mathematician and associate of Albert Einstein’s, served as the Provost and Vice-President of the University of California, Los Angeles, and was well ensconced in the city’s intellectual elite. McWilliams’s maternal grandmother received a doctoral degree in mathematics from the University of Gőttingen before having her twelve children. McWilliams was surrounded by Hedrick aunts and uncles, most of whom were educators and many of whom had advanced degrees. His mother, Dorothy Hedrick McWilliams, was a UCLA graduate who spent her career as a high-school teacher. If his mother’s family were titans of the academic sort, his father’s family were titans with a decidedly political bent. McWilliams’s grandfather, who died before he was born, had been a prominent cattle-rancher and Democratic State Senator in Colorado. And his father, Carey McWilliams, was a California journalist then best known for his writings about migrant farm labor, who would go on to edit The Nation magazine. The elder McWilliams, a self-proclaimed radical, was from early on a prominent public figure, targeted and often threatened for his then-controversial commitment to racial equality and his attention to the marginal and disenfranchised. In light of these early familial influences, it seems almost fated that McWilliams became a political scientist, a relentless intellectual and dedicated educator possessed of an unusually keen political insight and committed to seeking the wisdom contained in unpopular or “alternative” points of view. But the familial comfort of those earliest years was not the only formative influence on McWilliams’s life, for, like the provincial Los Angeles of his youth, it was not to last. His parents decided to dissolve their marriage in 1941, necessitating a brief move to Reno, Nevada – the establishment of residency in that state then being the easiest way to acquire a no-fault divorce – and then a series of subsequent moves around California. The transience of those years provided a stark contrast with what had come before, surely underpinning much of McWilliams’s later emphasis on the value of rootedness and his attention to the costs of America’s culture of mobility. McWilliams and his mother eventually settled in the Central Valley town of Merced, where in 1951 he graduated from Merced High School. It was in Merced that McWilliams first discovered and refined his skills as a debater – William F. Buckley, Jr., would later call McWilliams the most formidable debater in the United States – as a member of his school’s forensics team. And Merced’s then farm-country, railroad-town charms reinforced his appreciation for small and local communities. McWilliams graduated from the University of California at Berkeley in 1955, funded in part through a U.S. Army ROTC scholarship, and after graduation he served in the 11th Airborne Division of the U.S. Army for two years, remaining in active reserve service with the 91st Division until 1961. Having considered but ultimately deciding against a lifetime military career, he returned to Berkeley, where he received his master’s and doctorate degrees under the tutelage of the eminent political theorists Norman Jacobson, John Schaar, and Sheldon Wolin. Each of these great teachers influenced McWilliams in distinct ways, but all together instilled in him a deep and abiding love of the great texts and arguments of the history of political thought. Speaking about Wolin at the time of his retirement, McWilliams’s words might summarize his experience of all three of his teachers: “A secular agora, [their] classrooms were also part sanctuary, places where politics took on a grace and mystery.” At Berkeley, McWilliams also helped to found the activist student group SLATE, one of the first formal organizations of the New Left. In 1961, McWilliams took a position in the Government Department at Oberlin College, where he involved himself in the ferment of the 1960s and found great success as a classroom teacher. Largely based on his energizing experience at Oberlin, McWilliams would remain a fierce advocate of liberal-arts colleges all his life, although he left Oberlin in 1967 to spend most of the rest of his career at larger universities: first at Brooklyn College and then at Rutgers University, where he taught from 1970 until his death in 2005. McWilliams had also had visiting and summer appointments at Berkeley, Fordham University, Harvard University, Haverford College, Lafayette College, the State University of New York at Buffalo, UCLA, and Yale University. At all those institutions, McWilliams sought out the company of students, preferring face-to-face mentorship in and out of the classroom to the more impersonal formats of academic publishing. And yet, as this volume testifies, McWilliams’ publication record was substantial in terms of both scope and quality. His most famous work, The Idea of Fraternity in America, appeared in 1973 to high acclaim, receiving the National Historical Society Prize in 1974. He became a prolific essayist, writing regularly in journals such as Commonweal and Newsday and throughout his career dividing his time equally between high theoretical examination and penetrating contemporary political analysis. He wrote extraordinarily well-regarded essays on the meaning of each American presidential election, essays that were eventually collected in his two later volumes, The Politics of Disappointment (1995) and Beyond the Politics of Disappointment (2000). McWilliams was the recipient of numerous professional honors, including the John Witherspoon Award for Distinguished Service to the Humanities. He taught a series of summer seminars for teachers under grants from the National Endowment for the Humanities and served on several editorial boards. He held key positions in the American Political Science Association, including Vice-President and Secretary, and he was active at Rutgers on numerous committees and task forces. But it is worth noting that for the last 30 years of his life, McWilliams cultivated his community life alongside his professional one. He made a home with his wife, the psychoanalyst and author Nancy Riley McWilliams, in Flemington, New Jersey. There, they had two daughters, and McWilliams became a fixture of the local scene, serving briefly as a town councilman and spending many terms as an elected member of the Hunterdon County Democratic Committee. He was an elder in the Flemington Presbyterian Church and a member of the Hunterdon County Historical Society – living, much as he taught his students to live, a life made valuable through citizenship, association, sacrifice, and friendship. In one of his last publications, McWilliams’s description of the novelist James Baldwin might easily apply to himself: “He was a fervent critic of the American regime because he was an anguished lover, and nothing is clearer in [his] work than the depth of his concern for American public life and culture.” McWilliams too, was an “anguished lover” of America, discerning that it was a nation born at least partly of the Enlightenment that was worthy of love not because of its official philosophy, but in spite of it. Throughout his writing, McWilliams recommended “a better sort of love”: the love between and among citizens, one evoking an older model of citizens as friends – and not the self-love that lies at the heart of liberal theory and that at least in part officially undergirded the American founding. In one of his earliest publications – co-authored with his teacher, John Schaar – McWilliams set out a basic premise that would guide his thought thereafter. The political process is an effort to unite men in the pursuit of a common goal and vision. Politics, then, involves two questions: the question of “with whom” and the question of “for what.” Furthermore, it involves these questions in precisely that order. Liberalism, McWilliams consistently argued, was not neutral toward ultimate ends, in spite of some claims of its main proponents. According to McWilliams’s analysis of early modern thought in such thinkers as Machiavelli, Hobbes, and Locke, and as distilled in its practical expression in the thought of the Founders – especially Madison and Hamilton – politics was to be arranged to increase human power and mastery. According to liberal theory, individuals are understood by nature to be “free and independent,” and accede to form and join political community only as a second-best option, preferring in their respective hearts to be unfettered and ungoverned. Law is experienced as an imposition upon natural freedom, a necessary but onerous compromise with the reality of other self-interested humans. A consistent theme in liberal thought is that these inconveniences and compromises are acceptable because of what we ultimately gain in return – namely, the ability to master nature and a resulting increase in human power. As a result, our condition as individuals is apparently improved: while we remain under the impositions of positive law – and, indeed, as the power of the State must increase concomitant with the growth of power over nature – we appear to escape the rule of nature’s law, achieving greater liberation as individuals than would have been possible in a State of Nature. Political organization is thus a means to achieving the original desired ends of the individual, namely power and mastery. Liberalism – hardly neutral about ends – contains a deeper teaching, and organizes the polity to achieve the ends of that particular pedagogy. In the absence of the kinds of civic training Tocqueville commended, liberty came to be defined not as a kind of “discipline of freedom,” but as the relative lack of constraint upon individuals. The attendant growth in various kinds of human power – scientific, technological, and military, among others –obliterated obstacles to the human will and reshaped the world in the image and likeness of the unencumbered individual. A form of democratic liberty – what Aristotle defined as “ruling and being ruled in turn” – was substituted for the aspiration of “not being ruled at all.” What most contemporary people understood to be the very heart of the definition of democracy – freedom as lack of constraint – was, for McWilliams, the polar opposite of democracy. And the pursuit of the theory presented modern democratic man with unforeseen privations. The theory that had been developed to advance thoroughgoing human liberty – requiring endless efforts to increase techniques of mastery – left humans increasingly subject to the very powers that had been unleashed. Largely incapable of understanding the complexities of modern life, rendered mute and insignificant by a vast and impersonal nation-state, and buffeted by titanic powers that were often “private” and increasingly ungovernable, the modern democratic citizen experienced a radically different outcome than that which had been promised by the modern project. Isolated, voiceless, and civically powerless, they would find that a crass materialism and feeble claim to autonomy had replaced the noble calling of citizenship and self-rule. Thus, not only was the practical consequence of this re-definition of liberty an intense violence done to nature in the form of environmental degradation – but a similar violence was also done to human nature, namely a profound deformation of the human soul itself. Above all, he held that any effort to remediate the modern retreat into the private and the individual must begin – as Tocqueville understood – by shoring up those pre- and non-liberal sources that long co-existed alongside America’s liberal self-understanding. Ironically, the source of the improvement of civic life would come largely from sustaining and strengthening largely “private” institutions. Many “private” institutions—most notably, families, churches, and local communities—have often taught an older creed which speaks more easily of the public as a whole, appealing to patriotism, duty, and the common good. Of course, these private bodies have been influenced, increasingly, by the liberalism and “modernism” of our public culture, and they articulate the more traditional view only infrequently, incoherently, and apologetically. Nevertheless, the “private” order shaped the American character, in part, in terms of a teaching that human beings are limited creatures, subject to the law of nature, born dependent and—by nature—in need of nurturance and moral education. McWilliams was a defender of the “traditional” family not out of romantic traditionalism, but rather because he understood that the family, like church and community, is based on a set of human commitments that rub against the grain of liberal individualist assumptions. This understanding led McWilliams toward what might be called “populist” sympathies, to supporting the sorts of traditional associations and commitments suspected and attacked by a range of historical liberal and “progressive” actors (the sort of “elites” excoriated by a kindred spirit and friend, Christopher Lasch). McWilliams defended not merely groups – in this, he was no trendy supporter of “multiculturalism” – but groups whose basis reflected commitments based in loyalty, memory and place. It was private or semi-public entities such as the family or political parties that were the training ground of community life within the larger frame of the modern nation state. While relying upon these pre-liberal institutions, the modern state also subtly undermined all such inheritances, remaking them in the image of liberal assumptions, and thus diluting their affective ties. McWilliams understood that the liberal state was purposefully designed to separate humans, to encourage the assumption that we are at base physical bodies that come temporarily into contact without any natural or teleological relational basis. The vastness and impersonality of the nation-state was part of the intentional design of liberal theory, intended at once to advance the modern project of mastery, while making public life so impersonal and distant as to render modern liberal citizens more likely to favor withdrawal into private life and affairs. While seeming to ensure our dignity – mainly in the form of individual rights – modern arrangements tended instead to undermine the affective basis of every pre-liberal human institution, rendering us ever more alone and isolated, and bribing us instead by visions of autonomy and a taste of power that distracted us from our effective powerlessness. McWilliams appealed to an older teaching – one he gleaned from ancient Greek philosophy as well as the Biblical tradition – that understood community to be the natural home of humans, and political association to be the natural schoolteacher of shared self-government. Politics, according to McWilliams, is a kind of teacher of the human soul – not, as liberal theory held, a necessary inconvenience upon our natural freedom. It is a tutor that makes true human freedom possible, above all the freedom gained in self-government. From Plato and Aristotle in particular, he absorbed the lesson that political life requires a fundamentally small setting wherein interpersonal relations can be fostered. Drawing particularly on an Aristotelian teleology, McWilliams held that politics is natural to the extent that human flourishing requires formation within well-formed political communities. Liberal theory understood rightly that humans tend to experience themselves as separate bodies, but this theory stopped short of a fuller comprehension. At best and under good conditions, humans can be drawn out of this individualized existence, coming to see the extent to which the good life rests upon political life. Yet the human capacity to understand and embrace a shared conception of the good life beyond fulfillment of our immediate desires is not infinite and hence needs a bounded and palpable scale. Modern politics rejected this teaching, beginning and ending with our fundamental separation, and concluding that vast scale is the best setting for the satisfaction of such selves. From the ancients McWilliams learned otherwise. The Biblical tradition echoed this teaching using different lyrics but the same basic harmonics. Largely relying on Calvinist bearings, McWilliams understood Biblical teaching to stress the fact of human fallenness, our partiality, our pride, and our need for stern but loving guidance. Humans strain against limits and law but, properly tutored, can come to embrace those constraints as a self-imposed discipline, thereby achieving a better freedom. Particularly evidenced in God’s actions upon Israel, the Bible teaches that politics plays a vital role in this education of the soul. “Political society needs to limit and constrain its citizens, demanding sacrifice and punishing them when needed. In so doing, it imitates – in a small, relatively effective way – God’s desolation of pride. At the same time, a good political order nurtures, educates, and improves its citizens: its chastenings are intended to teach the lesson that the whole is a good order.” McWilliams was largely unique among contemporary “communitarian” thinkers in stressing that the communitarian strain in American thought – and, indeed, the broader Western tradition – if originating with the Greeks, had in many respects been deepened and more fully conveyed through the Biblical tradition. Like Tocqueville, he located the American founding not in 1776 or 1789, but with the Puritan settlement of New England. He argued that America’s first efforts of self-understanding derived from sources like John Winthrop’s sermon aboard the Arbella, “A Model of Christian Charity,” in which he urged fellow citizens to “delight in each other; make other’s conditions our own; rejoice together, mourn together, labor and suffer together, always having before our eyes our commission and community in the work, as members of the same body.” In both his writings and his riveting lectures in and beyond the classroom, McWilliams stressed that politics is always fundamentally about teaching, instructing us, above all, to seek the excellence of citizenship, a condition aimed at achieving civic equality through the discipline of freedom. For citizenship, in any case, government is indispensible to any solution, and only incidentally is part of the problem. The school of citizenship is small, personal and local, and in that sphere, ‘getting government out of the way’ does not ‘empower’ citizens: it leaves them nakedly exposed to forces that are titanic, impersonal and international. Citizens need stronger governments to give localities power as well as responsibility and to reduce the extent to which ‘getting involved’ is an exercise in frustration. In fact, government is the target of so much resentment because it is relatively responsive: citizens can vote against school budgets and elected officials, but not against technological change. Our anger at government is a mark of its humanity, just as democratic citizenship, to the extent that we can preserve and revitalize it, gives us voices against the grey silence of our time. His understanding of the fundamental need – indeed, the basic dignity – of political life drew him inexorably to the Left. For all of McWilliams’s differences with Marx, he was always committed to the Left side of the modern political landscape. This was most obviously the case during his active years in the student movement at Berkeley, and is also evident in his lifelong devotion to the Democratic party. More deeply, McWilliams’s critique of the theory of liberalism, and its close social ally, the capitalist market economy, drew him away from the contemporary Right. To the extent that the Right in America tended toward vociferous defenses of liberalism and particularly its economic arrangements – and was often the font of hostility toward the successive wave of immigrant groups who embodied the “second voice” of American thought, including that tragic group of unwilling immigrants, African slaves and their progeny – McWilliams found in the Left and the Democratic Party his natural home. Yet, McWilliams’s relationship to the Left was anguished. He broke early with friends who opposed the Vietnam War, and throughout his life was a severe critic of Communism and most modern ideologies of progress. His defense of family and other “traditional” arrangements, his criticisms of the idea of a “right to choose,” a “right to privacy,” his defense of the “great books” – among other positions – made him at least as often a critic of modern “liberals” and “progressives,” as apt to find among his political compatriots on the Left a betrayal of a fundamental commitments to politics as he did among those on the Right. He admired the arguments advanced by conservatives such as Allan Bloom, and counted him – and many other conservatives – among his friends and allies. Yet, far from experiencing alienation from the Left or the Right, the very source of his discomfort with elements across the contemporary political spectrum was also the basis of at least partial agreement with nearly everyone he encountered: aided by his wit and sense of humor – punctuated by countless anecdotes and a fondness for bourbon – along with his uncanny ability to forge political alliances, he easily made friends and companions across the entire political spectrum. For McWilliams, politics is finally ennobling not only for teaching the truth about our human condition – one of dependency and mutual need, and as a calling toward the achievement of the common good – but finally to the extent that it points us beyond even the limits of politics. McWilliams constantly affirmed that politics teaches us our partiality – points us toward the whole – but that politics itself is finally only partial. It is a part that aspires toward the whole; the community itself calls us outside ourselves, but it too must ultimately be cognizant of its own partiality, even as it aspires to a kind of partial completeness. “At best, politics encourages us toward philoso¬phy and toward religion, toward a concern for the truth and for the nature of things.” Politics is the point of departure toward an understanding of the nature of the created order; at the same time, philosophy and religion alike must be cognizant of the limits or at least need for prudence that are placed upon that examination of the whole, given the necessity of the human community that encourages and even makes possible their examinations. McWilliams expressed this tension at the heart of “political philosophy” with simple eloquence on the occasion of his reception of the 1989 John Witherspoon Award from the New Jersey Committee for the Humanities. I think that Plato was right: at bottom, human beings are yearning animals, who want more than is simply or narrowly human. They want perfect things, answers to great riddles, beauty that endures, Being that is now and always, justice without fault or error. But if we seek the perfect in things, persons or governments of this world, we will be disappointed – and worse, we will fail to appreciate their decencies and real achievements. We need the critical comparison and argument between high things and our lower striving, between Socrates who is human and our own incomplete humanity. Even the most successful practice does not make perfect though it does make better; but we cannot recognize what is better without some inkling of what is best. Thus, for McWilliams, politics ultimately points beyond itself. Politics is a means to a further end, the appreciation of the whole and of the truth that we are necessarily always only partly able to grasp. Politics is thus the inescapable condition of human creatures, a sphere of education about our true selves that give us dignity and meaning. It is to be informed by the goal of seeking the common good of our fellows and compatriots – through the medium of citizenship – but finally it must be aware of its own limits and shortcomings, pointing beyond any of those commitments to a whole that exceeds our earthly grasp. In this, McWilliams was finally a partisan of philosophy and religion, the highest pursuits nevertheless always moderated by the real experience and essential reality of political life, that condition of being human among humans. He sought to ennoble and chasten, pointing us simultaneously to the high aspirations of the true and eternal things and to the earthy reality of our diurnal political existence. And so – as the chapters of this book demonstrate – he was a passionate student of the great thinkers and a lover of the rough-and-tumble, a singular combination of philosopher and politico with a bit of saint and rapscallion mixed together. These essays are a partial testimony to the breadth and scope of his vision, to a deep and profound learning that will awe and humble, and to the wisdom of a lover of political and human things. This book will at least will serve as a reminder of that man admired and missed by many, and as an introduction to those who have come too late to enjoy his capacious laughter and embraces. I’m going to go to the library tomorrow to pick up Redeeming Democracy in America. Thanks for this post. I’m not buying the “mastery” premise as the complete foundation of classical liberalism. Second, those dictatorships of the proletariats, whether progressing or not, always ends badly. How many times does history need to show us that? Finally, that someone from the PCUSA would interpret Calvin so badly is not surprising. I have no clue what you mean, GAS @ interpreting “Calvin so badly” — I’m PCA and I think I recognize a legitimate use of Calvin when I see it. And yes, “mastery” is not the whole of liberalism — but anyone acquainted with its mature anglo saxon expression in utilitarianism know this is at the heart of it. Your comment about “dictatorships of proletariats” demonstrates a lack of imagination for the structure of political community. I suppose Bedford Falls is just another Stalinist commune. I enjoyed this and can see many commonalities with one of my favorites — Christopher Lasch. @Wiley… When did Calvinist begin believing obeying the law leads to salvation? I thought we believed the law only shows our need for grace? “Political society needs to limit and constrain its citizens, demanding sacrifice…”. Calvin is spinning… the one who believed in the sanctity of the conscience. Whatever the “mature” expression is… may be unrelated to it’s initial expression. The article seems to suggest that the initial expression was wholly an enlightenment expression. While “mastery” may have had a part it seems anachronistic to reduce the whole expression to that. I’m thinking Mao may be the hero of the Front Porchers. “A secular agora, [their] classrooms were also part sanctuary, places where politics took on a grace and mystery.” A description that applies, with even greater force, to Carey’s classroom. Eternal memory! The Law in Reformed teaching has a three-fold purpose — revealing our misery w/o grace is one use — but it also manifests the righteousness of God and directs the saints in the exercise of their gratitude. In this article was see the vision of the Puritans for a city on a hill. BTW, Calvin’s Geneva was a place where community standards were pretty strictly enforced — it certainly was not a place Libertarians would call home. Are you versed in Locke and Hobbes? — classical Liberalism always places the individual before the community — ontologically and even by implication chronologically. Covenant Theology can not be reconciled to that approach without great damage to Covenant Theology. It would be interesting to read something comparing/contrasting McWillams and Lasch with communitarian conservatives of the Weaver/Kirk sort. Seems to me that despite some stark differences there would be a fair amount of commonality on some points. I know that E. Genovese has written some things along these lines, and there’s a bit in Miller’s biography of Lasch. Does anyone know of any others? Wiley… we’re talking about an evangelical faith which necessarily implies the individual aspect. That’s why Calvin is considered one of the great humanists of the medieval period. The response of gratitude is shown in ones efforts in the secular realm. McWilliams completely missed the point of OT Israel. OT Israel was properly tutored yet unable to conform. The point was to point to someone who could actually conform. Wasn’t that what Paul told us? More laws lead to more sin? I think the phrase was “largely relying on Calvinist bearings,” not “accurately presenting Calvin’s teachings.” Furthermore, if the trouble is supposed to be that Calvin didn’t think that obeying the law leads to salvation, then it isn’t a problem for McWilliams as Deneen & McWilliams’ introduction describes his thought: to claim that law reveals our fallenness and educates us by teaching us our limits, thereby improving us, is a far cry from proclaiming that merely obeying the laws leads to salvation. The closing sections of the introduction show that McWilliams thought of “philosophy and religion” as transcending the political. How anyone who believes that could also take seriously the idea that all anyone needs to do is obey the laws is a bit of a mystery. Only slightly less mysterious is how anyone can conclude that “McWilliams completely missed the point of OT Israel” after reading nothing more than an introduction to a sample of the man’s works, particularly when that introduction seems to show that, even if Calvin were right, McWilliams hasn’t completely missed the point (see CR Wiley’s post above). All of this illustrates the applicability of a principle to which I generally try to adhere: never mention Calvin; it only leads to wailing and gnashing of teeth.